We had foldable bicycles and we had e-bikes, now MOAR brings us folding e-bikes. MOAR has designed this new tech savvy e-bike which brought all the components of a bicycle and an e-bike into one. It has a complete folding frame, full suspension fat tires with 85 mile range. 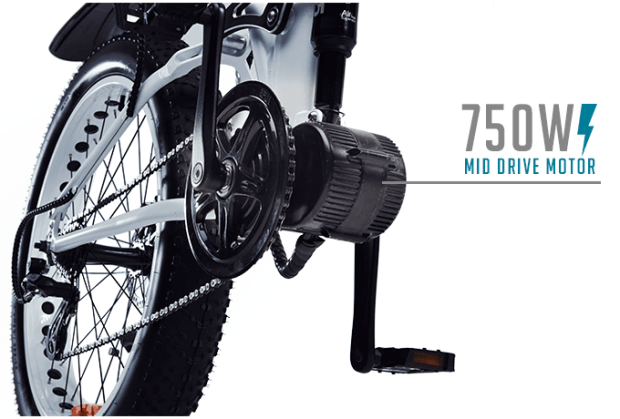 The motor ranges from 550 - 750W, and the e-bike includes Shimano gears, disc brakes, turn signals, 48V Li-ion Battery, brake lights, LCD display and many more other specs. 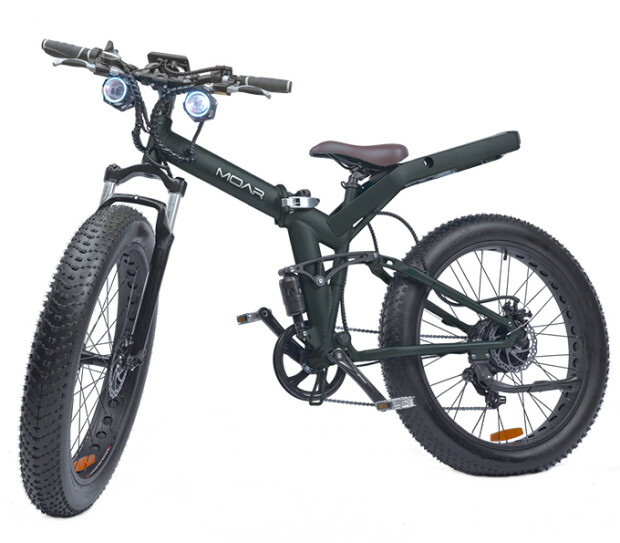 And MOAR has given us 3 e-bike options to choose from: Sun&Fun, 24/7, and Rapt. These e-bikes are designed for everyday commuters as well as taking those off-road trails. And no upgrades needed whatsoever. Easy to carry, fold and transport.